Jean Edsall Ford, 93, of Greene, died peacefully on Wednesday, December 5, 2018. She was predeceased by her husband, Winfred and by 2 daughters, Judith Edsall Ford and Linda Ann Ford. She is survived by her daughter, Virginia Ford of Landstuhl, Germany and by a son, Father Steven Ford of Tempe, Arizona; 5 grandchildren, Emily, Jamison, Alexander, Christian and Jocelyn Hahn. 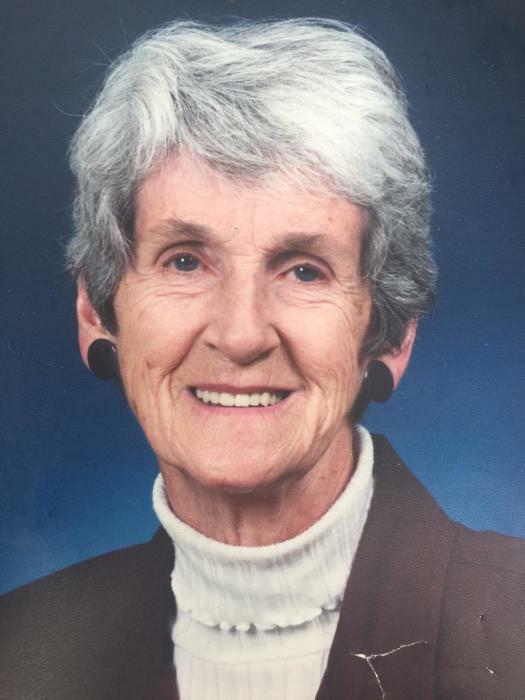 Jean was an educator at Norwich, Greene and Marlboro High Schools. She had a beautiful voice and enjoyed singing. She was an active member of Zion Episcopal Church in Greene. A funeral service will be held 3:00 p.m. Saturday, December 8, 2018 at Zion Episcopal Church. The family will receive friends immediately following the service in the social hall. In lieu of flowers, memorial contributions may be sent to the Alzheimer’s Association 401 Hayes Avenue, Endicott, NY 13760. The family would like to thank the staff at James G. Johnston Nursing Home for their wonderful care of Jean. Arrangements are under direction of Root Funeral Home 23 North Chenango Street, Greene NY 13778 and condolences may be sent to the family at www.rootfh.com.